Elizabeth Debicki made her Marvel Cinematic Universe debut as the villain Ayesha in "Guardians of the Galaxy Vol. 2." Failing to exact her revenge against Star-Lord and the rest of the Guardians, Ayesha will definitely be back for more in "Guardians of the Galaxy 3." "Guardians of the Galaxy Vol. 2" brought in a lot of new interesting characters, many of which are now considered absolutely fan favorites. Among those are Pom Klementieff's Mantis and Debicki's Ayesha, and director James Gunn himself has confirmed that he looks forward to working with them again. "I absolutely plan on bringing Elizabeth Debicki back. She's actually one of my favorite actors I've ever worked with. I think on this movie between her, Pom Klementieff who plays Mantis, and Chris Sullivan who plays Taserface, they really were three of the best actors I've ever worked with," Gunn tells IGN. Ayesha is the gold-plated High Priestess of a genetically-perfect alien race called The Sovereign. With her return in "Guardians of the Galaxy 3," she will be one of the few villains to make multiple movie appearances in the MCU. Tom Hiddleston's Loki currently holds the record. Interestingly, Hiddleston and Debicki both worked together on the Emmy-winning BBC mini-series "The Night Manager." To those who've seen "Guardians of the Galaxy Vol. 2," Ayesha's return is more than expected especially since she's responsible for the creation of Adam Warlock, one of the most powerful superheroes in Marvel's repertoire. In the comic books, Adam Warlock plays for the good side. He also frequently possessed and protected the Soul Stone (a.k.a the only Infinity Stone that has yet to be unveiled in the MCU). Since it is presumed that he is Ayesha secret weapon in defeating the Guardians, it is likely he will start as a big bad in the MCU before transitioning into a good guy. Nevertheless, having Adam Warlock on her side definitely gives Ayesha a more prominent role in "Guardians of the Galaxy." Meanwhile, USA Today reported that Gunn has begun working on "Guardians of the Galaxy Vol. 3. 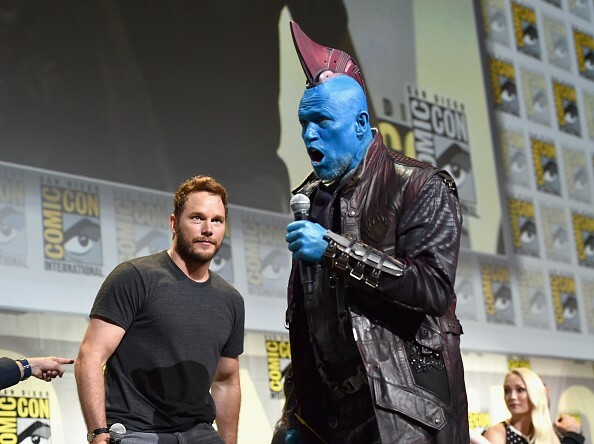 It is said that Gunn has discussed the story with Chris Pratt and has had "some pretty intense conversations" with Zoe Saldana about a particular role in the third film. George Miller finished writing 2 sequels for ‘Mad Max’; Some films of the franchise to focus on Furiosa?